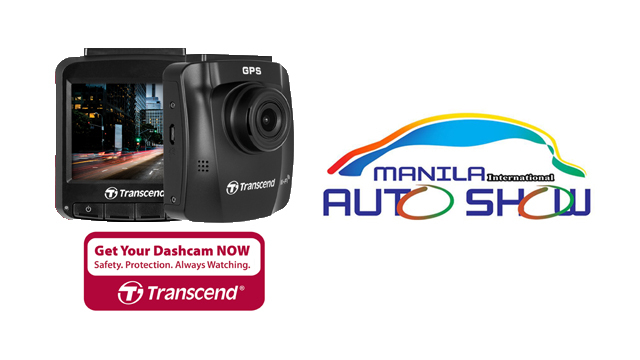 Home / car / car show / dash cam / Manila International Auto Show / memory card / transcend / Transcend joins #MIAS2019 to raise awareness on road safety. Transcend Information Inc., is set to participate in the 2019 Manila International Auto Show (MIAS), which runs from 4 to 7 April at the World Trade Center Metro Manila. This two new models features a myriad of advanced safety features and 32GB of storage for long-distance recording of up to four hours and 30 minutes. Unlike other dashcam brands, all Transcend dashcam models are bundled with 100% tested high-quality microSD memory card for added peace of mind.